Marlie and Me: Wordful Wednesday: Splish Splash, I Was Taking a Bath! Wordful Wednesday: Splish Splash, I Was Taking a Bath! i love how your little one is watching your older one..kinda like "Hey..Can I do that?" This picture is precious! Looks like your little one is studying up too, haha! 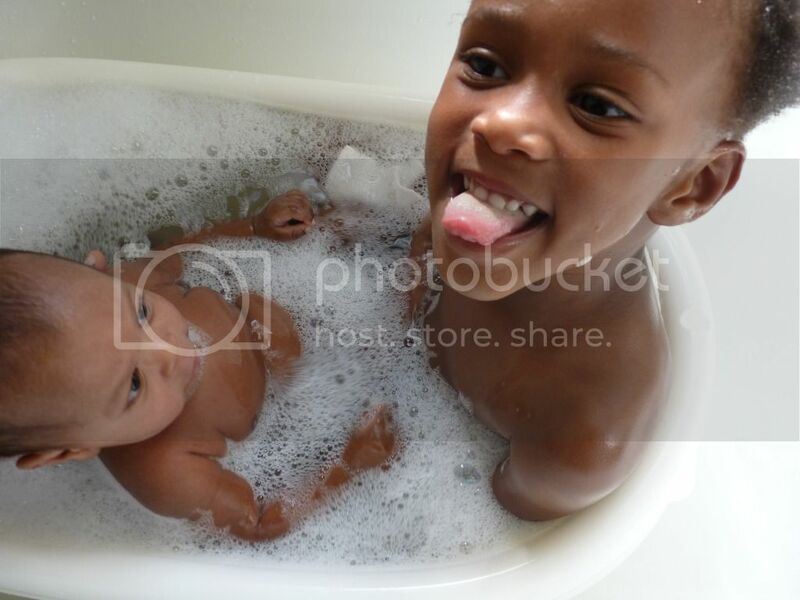 So cute...love these babies..she is enjoying her baby brother!! That's sweet. I remember those days! Oh my goodness! The cuteness is too much!! Aww so sweet. Bath Time!! Catching up on posts and just now saw this - too, too cute!